If a circuit only has a current source and no voltage source where does the voltage come from to supply the circuit? For example this circuit, A current source is something with would alter the voltage across it to meet a certain current. But where is there a voltage source to do this or even have a voltage at Vx. How is this circuit functioning without even having a voltage supply? I have looked here : Is current source also a voltage source? To try to understand the difference between what a current source is and a voltage source but nothing helped answer this question. Could in this case the current source act as a voltage supply? An Ideal current source will produce whatever voltage is necessary to permit it to deliver its specified current. An ideal voltage source will deliver whatever current the rest of the circuit requires when it is delivering its specified voltage. Real current and voltage sources will have limits on the voltage (for a current source) or current (for a voltage source) that they can deliver. These are idealized elements. Neither voltage sources nor current sources exist in reality. Reality has generators and galvanic cells etc. Of course you can always add more things to your model, but these two options are the minimum. If you drop the internal resistance connected the right way, you aren't talking about real world things any more but you are talking about your modeling. And that's what these circuit lessons and practice is about. Learn to understand the modeling. So you can build and understand models for real world elements. I think you can now easily understand what to do with R2, and what the current source and R1 can be transformed into afterwards. A current source does have to have a voltage source. But, because a current source is designed to supply a fixed amount of current, we can ignore its inner workings and just focus on its purpose: to be a current source. A constant current (CC) source has its own DC source or one needs to be supplied. You can buy a DC-DC CC regulator or an AC powered CC power supply. An AC powered CC power supply will have an AC-DC power supply input and DC-DC CC regulator output. Here is a very basic DC-DC step down (buck) CC regulator driving some LEDs. The current flows through the Rset resistor. 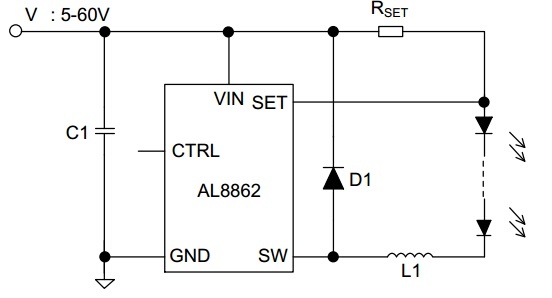 The chip measures the voltage across Rset to monitor the current flow. 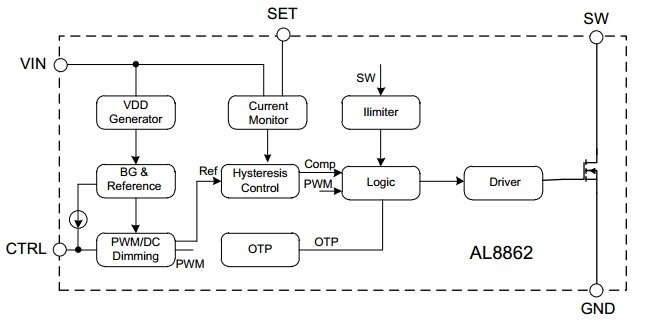 If the current is insufficient, the internal PWM signal will increase the duty cycle of the SW (switching) input, increasing the current flow in to SW. And vice versa. When the duty cycle is at its maximum (maximum rated current) the CC source essentially becomes a voltage source. It's a load related thing. When the CC reaches maximum voltage or current, it is then a voltage source. Example if the forward voltage of these LEDs being driven is greater than the input voltage the maximum voltage is reached. If the load is a resistive load that could draw more current than the CC source can provide, the maximum current is reached. "Current source" is just a (slightly misleading) name. In truth, the usual Ohm's Law works as usual, that is, there is some voltage, some resistance, and hence some current. It is not like there is some magic that somehow creates a current out of thin air. You can imagine that a real current source (as opposed to the ideal version, where we do not care about its internals) has a regular voltage source (110V/220V AC), converts that to some internal DC voltage, and then does some nifty regulation which varies the DC voltage it serves to its client circuit such that it increases/decreases if the actual current is too low or too high. By changing the voltage, the current changes as well, depending on the load. As such, the real current source is still just a voltage source, albeit with a rapidly changing/adapting voltage, and the implementation is obviously very much more complicated than a standard voltage source. The Wikipedia page on current sources lists quite a number of different implementations, using transistors, opamps or other active components. The case you expose is an idealized element. So it is a model that you use to do calculations with other models. The "inner" loop regulates the output current as requested by the outer loop. The outer loop, in turn, "asks" the current needed so the output matches the desired voltage. So effectively the whole regulator can be thought as a controlled current source, supplying the current needed such that the output voltage is the desired one. Think of a current source as an energy source that somehow outputs an almost constant current. In practice it would typically be constructed with electronic components that measure the current and try to stabilise it, but crudely you could make one with a million volt battery in series with a one megohm resistor. That will deliver pretty close to one amp no matter what you connect to it! To measure a current source you would short circuit the terminals (almost) with a current meter. The internal voltage is unspecified and trying to measure it with an open circuit would possibly be dangerous. Conversely, to measure a voltage source you would use a high-resistance meter that draws (almost) no current. The current it can deliver is unspecified and trying to measure that with a short circuit would possibly be dangerous. Current is a flow of charge. In a metal conductor we know electrons are moving randomly in all directions. You need a complete circuit and potential difference in order to get them to move (on average) towards the positive terminal of the cell. Not an expert like the others, but just wanted to add when you see a current source in a circuit picture, you can't assume that voltage across it is zero. It has some voltage which probably unknown to you at the start of the problem, but which you can find with the help of Kirchhoff's laws. Not the answer you're looking for? Browse other questions tagged circuit-analysis circuit-design or ask your own question. Is current source also a voltage source? Where am I going wrong with LM317 power supply circuit? How does current split in this circuit? What's happening in this circuit? Zero voltage drop across dependent current source? Does a current source have a difference in potential? Why is the source voltage 1/4 of the supply voltage applied to the drain in a voltage-divider JFET circuit?